Our company first different novelty in the field of ration construction and animal nutrition; instead of purchase all of the feed additives which used in itself production unit, separately; it uses them within ideal formulation as a fairly homogenous mixture, in a one compact product. the profitability of the new product that provided, the high animal performance as well as the final products high quality such as milk and meet qualities, has earned big admiration of the manufacturers and at the same time has created the serious market of this field already. All production facilities and integrations which are interested with procurement livestock mixed feed. The raw materials that is used in our production unit is provided from the Professional manufacturers and suppliers from all over the world with their own quality certifications. As a result of research and development, the products which prepared for layers, and ruminant groups were presented under firm own BAKON registered brand as well as MASTER FORMULA brand which is registered for broiler and breeders. Hereby the concerned products which were provided high convenience and profitability for the its users, also were attracted the attention of the abroad sectoral industrial companies that, were caused, to the high demands of goods exports by mentioned foreign companies. in a field with 10.000 m with 4000 m closed area; within 36 ton/hour production capacity. In one overtime around 100,000 tons of annual production is conducted. Our difference is to get best performance from animals by means of diversity that we have created in our products to present a widely appreciated products by increasing tha final products quality also to become solution partner of our customers in every stage of production. rapidly growing each passing day, the DSA family has achieved its goal of success thanks to world class sustainable product service quality. DSA with powerful structure in institutionalization and with a strong and important position in the world market ; specially give importance to research and development operations , operates with its effective management team in R&D. 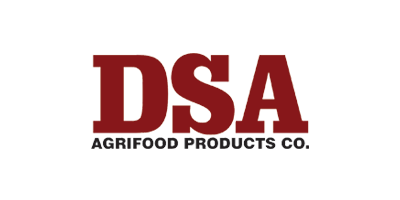 Starting out with the principles of quality and reliability, at the present time, with production understanding DSA has become the leading firm in turkey with emphasis on branding its approach emphasizing costumer demands and innovative products. We as DSA company will continue to maintain our success together in this way with right footsteps; forward-looking investment tradition; given importance to manufacturing, technology and our business partners, and also the power that we get from our customers. we as a global brand with extensive distribution channels in turkey, it makes us proud to be known with the concepts of quality and reliability. At the same time nit gives us power to turn to new and larger targets.